"Did You Know NASA Does Earth Science? 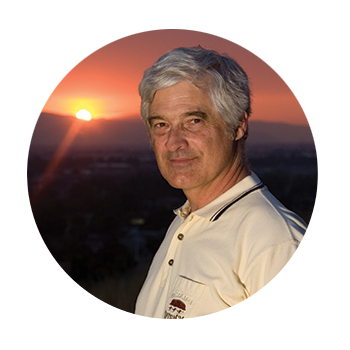 A History"
Dr. Steve Running is an Emeritus Regents Professor at the University of Montana. His research specialty is global terrestrial carbon and water cycles, and his science has been sponsored by NASA for 40 years. He has, in recent years, been the appointed chair of the NASA Earth Science advisory committee, and the National Academy of Sciences committee on Earth science. He has given hundreds of public climate change talks for over 20 years. He also was an author of the Intergovernmental Panel on Climate Change 4th Report, which shared the 2007 Nobel Peace Prize with Al Gore. Lecture Synopsis: Although much of NASA notoriety is focused on human space flight, the agency has had a charter for Earth science since its origin in 1958. President Ronald Reagan directed NASA to focus on issues around global habitability in 1980. Now, much of what we know about ongoing global change comes from NASA satellites.